One limitation of Traktor is that it can only stream in ogg format. One limitation of Bassdrive is that it would only support mp3 input. This meant I had to either prerecord, transcode in real time to mp3 or broadcast my "what you hear" channel. None of which were very prosaic solutions in the end. I have had a great 5 years on Bassdrive moving from a weekly to a monthly show last year. Like Dfunk said though, "all good things must come to an end". I'd like to thank the whole Bassdrive crew for having faith in me to begin with and I'm sorry things didn't work out. There are no hard feelings and the bright side of all this is that I can now concentrate what little free time I have these days on this podcast. I may return to the radio in future but not before I have a completely solid broadcasting setup and can actually look forward to a trouble-free show. This month's mix features liberal festive sprinklings of Netsky, Command Strange and The Square tunes - 3 artists with unique styles that continue to catch my ear. Also featured is another delectably simple yet melodic piano tune from Komatic that I am amazed has not been signed yet. Enjoy the new mix over Christmas and the NY. All I ask is that you don't forget to drop by and visit in 2010. Look out for the new Kubiks LP "Blurred Vision" coming out in November. Remix below "Bamboo" is one of my favourites from it. I've unceremoniously retired it to the dustbin now but this then gave me the problem of what to replace it with? 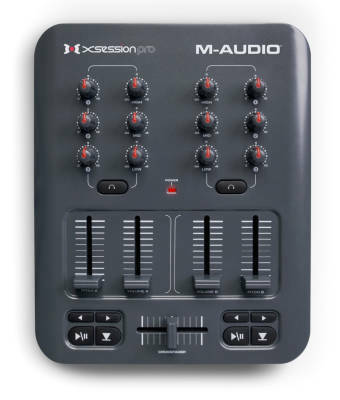 I did my research on what was available and ended up going for the compact and relatively inexpensive elder brother to the X-Session, the X-Session Pro. I was tempted to spend more on one of the posh Vestax's controllers, but they still haven't really got it right for me yet... not for that kind of outlay anyway. The VCI-100 is nice but I don't need or want platters. 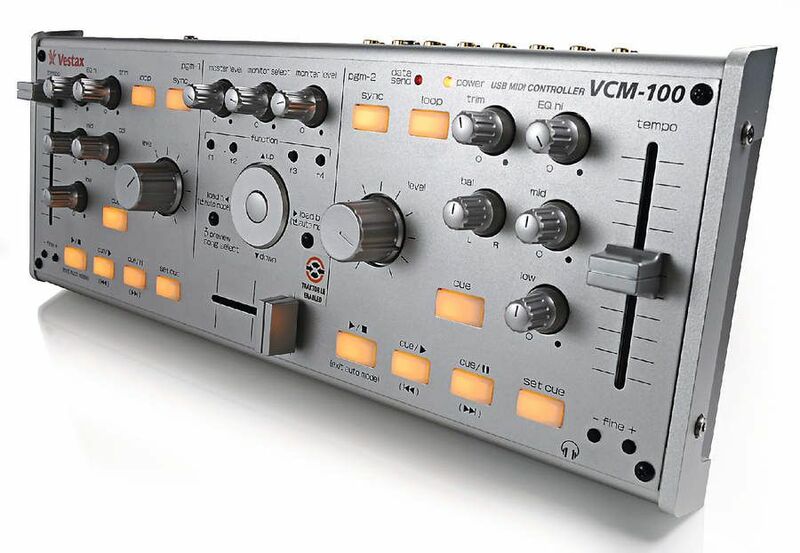 The VCM-100 is nice too, but I don't need another audio interface and I want 4 faders. Faders are what I missed most about using the original X-Session. The most tempting I found was the super new TR-1 but it also comes with a built-in audio interface and has no cross fader! What were Vestax thinking?? Vestax VCI-100 - £400 with pretend records or 'platters' on. Vestax VCM-100 - £400 - Nice and compact but pricey (Due to the audio interface) and only 2 faders. 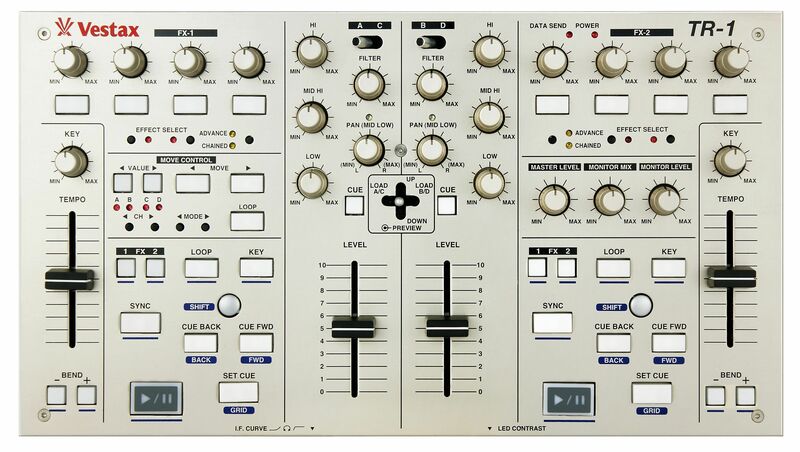 Vestax TR-1 - £400...so very nearly but where is the damn x-fader? We're not all techno n trance DJ's you know! X-Session Pro...only £60! Can't go wrong for that money with cross fader, 12 rotaries and 4 up faders. BYO audio interface though. And finally here is this weeks show tracklist mixed using the new X-Session Pro. Perhaps a little more tentatively mixed than usual due to me trying to get used to my new controller but I hope you enjoy listening nevertheless. Let me know what you think! As Frank Zappa explained it, "The creation and destruction of harmonic and 'statistical' tensions is essential to the maintenance of compositional drama. Any composition (or improvisation) which remains consistent and 'regular' throughout is, for me, equivalent to watching a movie with only 'good guys' in it, or eating cottage cheese." In other words, a composer cannot ensure a listener's liking by using exclusively consonant sounds. However, an excess of tension may disturb the listener. The balance between the two is essential. Contemporary music has evolved in the way that tensions are less prepared and less structured than in Baroque or Classical periods, thus producing new styles such as Jazz and Blues, where tensions are usually not prepared. New show coming up this weekend folks! Couldn't resist squeezing in two new digital releases by a young, up and coming Kazakh producer by the name of Command Strange. Really liking what I've heard so far... nice work from Influenza and Golden Orb signing him up! I have really enjoyed the recent celebrations of the 200th anniversary of Charles Darwin's birth. It is truly staggering what evolution can produce if given long enough. Many of the evolutionary principles such as adaptation, mutation and natural selection apply not only to species but to cultural phenomena like DJ software. Instead of the transmission unit being a gene, Richard Dawkins coined the word "meme" to describe how one might extend evolutionary principles to explain the spread of ideas and cultural phenomena. This mix is my first with a new species of DJ software called Traktor Pro. It's direct ancestor is Traktor 3 (which I was using up until now) but it has been influenced by many other meme-pools. I held off using it live for a while because it had too many bugs (mutations??) but this latest beta (1.1) is much more stable and usable. I'm still getting used to the new features particularly the effects and filters but think it has a lot of potential... Big up to the 1369 Bassdrive listeners that tuned in live!